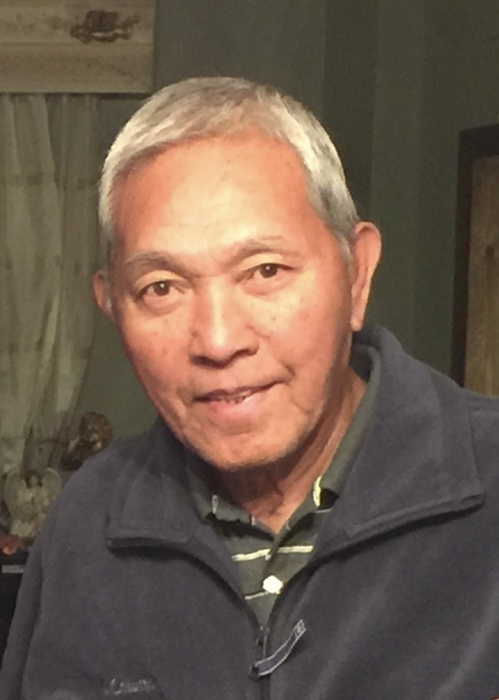 Antonio Abaquita, 82, peacefully passed on Thursday, April 11, 2019 at JFK Medical Center Edison NJ. He was born January 4, 1937 in the Philippines. CPA graduate, worked as an agent for the National Bureau of Investigations (NBI.) Tennis was his passion. Self-taught and competed in tournaments. He loved to watch tennis and was able to see the great tennis players when they were playing in the US Open in New York. In his retirement age he enjoyed travelling with his wife Sylvia and other fellow retirees all over the world. He likes to be always busy be it yard work or carpentry or car mechanic as long as he’s productive he’s doing something. He also loves his baseball, Yankee’s of course but basketball he also enjoys. When he is resting the TV is his outlet. He migrated to the USA in 1985 and has lived here ever since. He is survived by his wife, Sylvia, whom they celebrated their 53rd wedding anniversary on March 5th; son, Marvel Abaquita and wife Glecy; daughter, Melody Cabanela; 2 grandchildren, Alex & Mia Cabanela. There will be a visitation on Monday; April 15th, 2019 from 4-8PM at the Sheenan Funeral Home, 233 Dunellen Ave, Dunellen. A funeral mass will take place on Tuesday; April 16th at 10:30AM at Our Lady of Fatima Church, Piscataway. Cremation will be private. Entombment will be held at a later date.